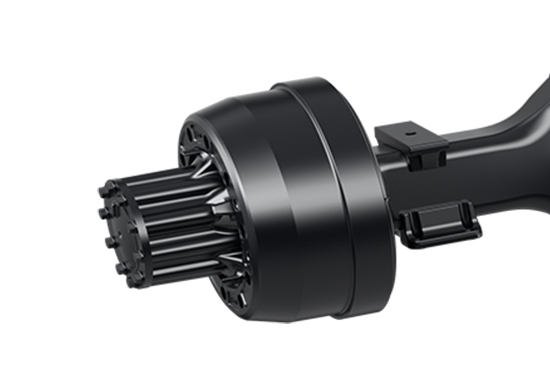 S-cam air brakes with automatic slack adjustment provide effective stopping power, anti-lock brake system with electronic brakeforce distribution are standard with rear leaf suspension and optional with air leaf suspension. 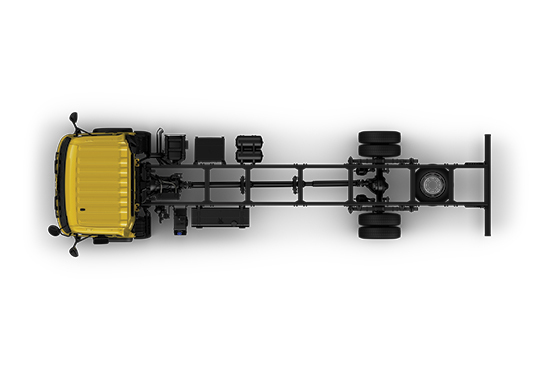 This system makes Croner future-proof, as ABS will be a legal safety requirement in many markets in the near future. 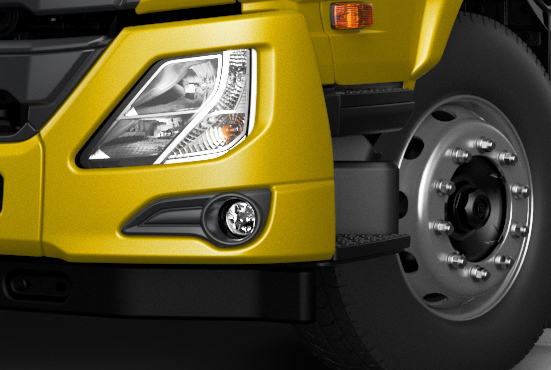 Superior visibility with standard headlamps featuring optional height adjustment, optional fog lights. 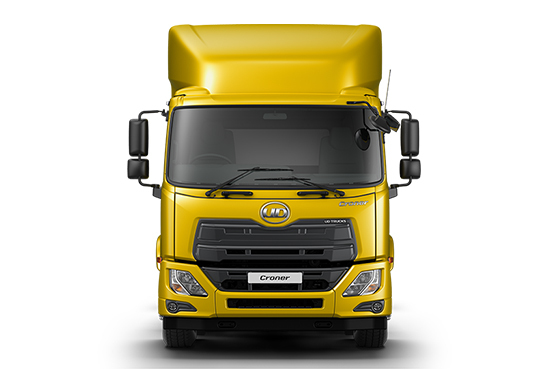 Daytime running lamps are also available as an option for Croner. They increase the visibility of the vehicle for the benefit of other road users. Croner is designed with excellent handling and stability that is further improved with an optional front anti-roll bar. 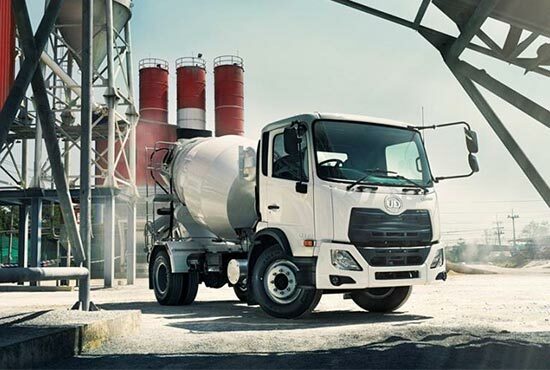 Front stabilizer is a key feature for overall chassis stability, especially in superstructures with a high centre of gravity, such as mixers. Croner’s steel frame provides strength and safety, while the reinforced cabin has been developed under strict deflection, crash and durability targets, and is designed to meet Japanese safety requirements of a flat barrier impact at 40km/h. All variants of Croner are available with ECE R93 and ECE R58.02 compliant front and rear underrun protection as an option, effectively protecting other vehicles and road users. Seat and seat belt anchorage meet the ECE R17 and ECE R14 European test regulations. 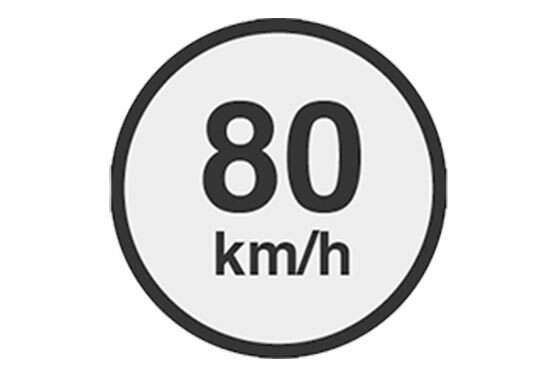 Default speed limit: Based on country regulation, it is set in the factory and cannot be modified to exceed regulation speed. Selective speed limit: Through IC (Instrument Cluster) – the speed limit function can be set by the customer to any speed less than the default speed. This setup is password protected. This will help to reduce accidents caused by excessive speed and reduce excess fuel consumption.